John Travolta- the man with the piercing blue eyes and handsome grin from the movies Greece unfortunately also resembles this strange-looking dog. Don’t get me wrong, back in the day Travolta was a good-looking man, in fact, he was THE good-looking man, however, after seeing a photo of him now, next to this dog, one could say his looks have faded? 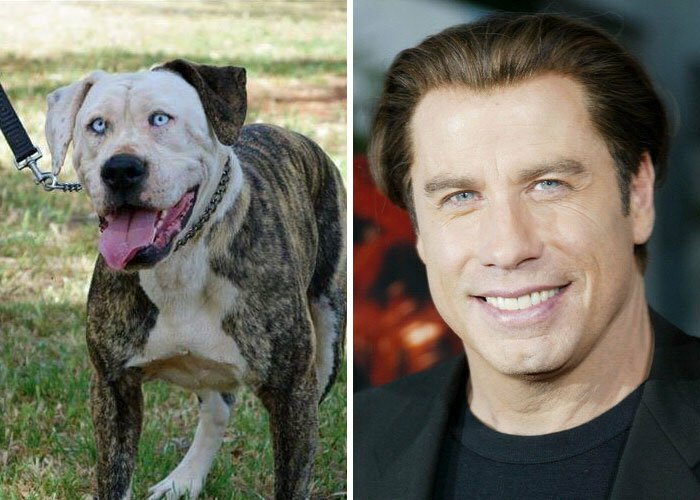 Travolta has always had those piercing eyes, it’s definitely part of his charm, however, those eyes on a dog… more terrifying than charming, wouldn’t you agree? 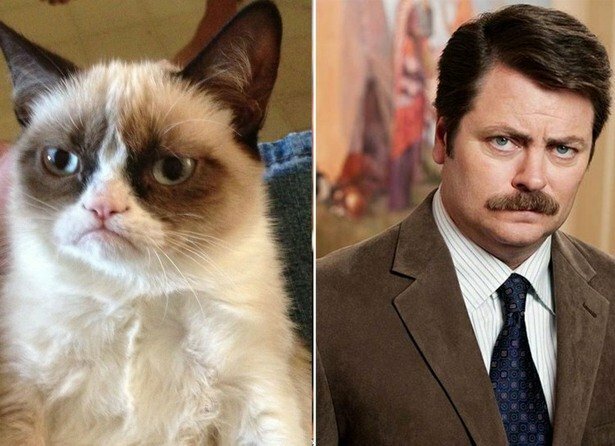 Which leaves us asking, who resembles whom? Nickelodeon Stars: Where Are They Now? Utterly Insane Celebrity Conspiracy Theories or Not? Please do not compare Jake Gyllenhal to Tobey McGuire. Jake is gorgeous and Tobey is pretty much the biggest goober than ever goobed.